Jordan and I did something we’ve never done before for our 17-day trip to Peru and Bolivia - we used a travel agent. I know, this may go against everything I stand for as a blogger that’s trying to help you plan your trips. 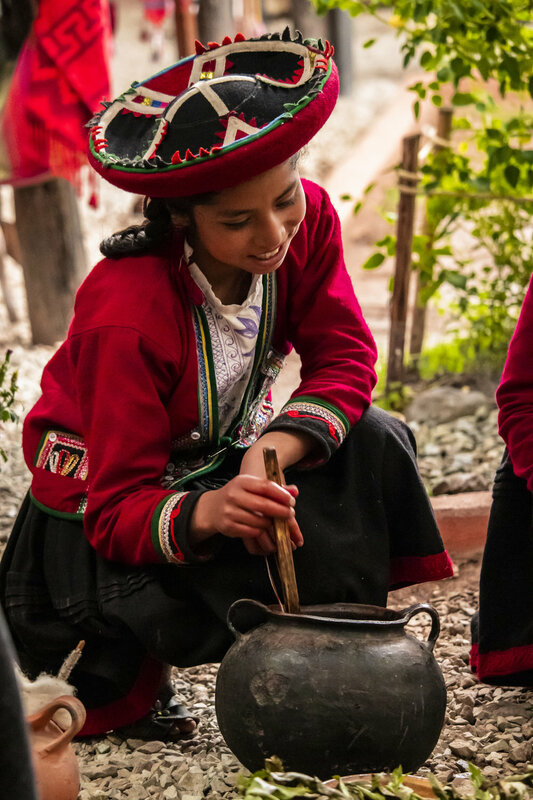 But trust me, there were a whole lot of unknowns for us when we were planning this trip, and we ultimately decided that having an expert in Peru and Bolivia would greatly help us. When we first explored the idea of going through a travel agent, we contacted several in the US, through recommendations from friends or ones that we found through web searches. We told the agents that we love staying in the cities, within walking distance to all the action; we value getting to know the local culture on our trips, and if we are staying well outside the main area, we can’t really do this. We noted that we were willing (and happy) to forgo the five-star resorts to stay in more local bed & breakfasts in order to do this. We also stated that we were not terribly interested in tours of cities, but rather tours of places like ancient ruins. Additionally, we didn’t need private tours; we would be very happy with group tours. READ: Please keep our budget low, as we are aware this trip is going to be relatively expensive. Every time we got the itinerary back, the agency had placed us in hotels at least 20 minutes outside the cities, and booked us on completely private tours (including tours of every city we were in). I know there are people that enjoy traveling like this, but I consider Jordan and I to be more “adventure travelers,” meaning that we like to go out and experience everything ourselves. We knew these itineraries would not allow us to do that. Additionally, even after seeking out itineraries from around 5 different travel agencies, no one could quote us less than $8,000 per person, and some just flat-out refused to work with us. We knew from our research that this trip would be more expensive than others, but we weren’t ready to drop over $16k. We had all but given up on the travel agency route when Anywhere popped up in one of my web searches. Their website promised local agents delivering a local, cultural experience, as well as working within our budget. Ok. I’ll bite. I filled out a web form and was contacted the next day by (my now best friend) Cesar. Cesar, if you are reading this, we love you. I told him that we had already booked our flights in and out of Lima, and that we were interested in definitely seeing Machu Picchu, and potentially going to the Salt Flats in Boliva. Other than that, I told him it seemed like there was so much to see and do in Peru that I was overwhelmed and wanted his opinion on the best things to do with a little over two weeks. 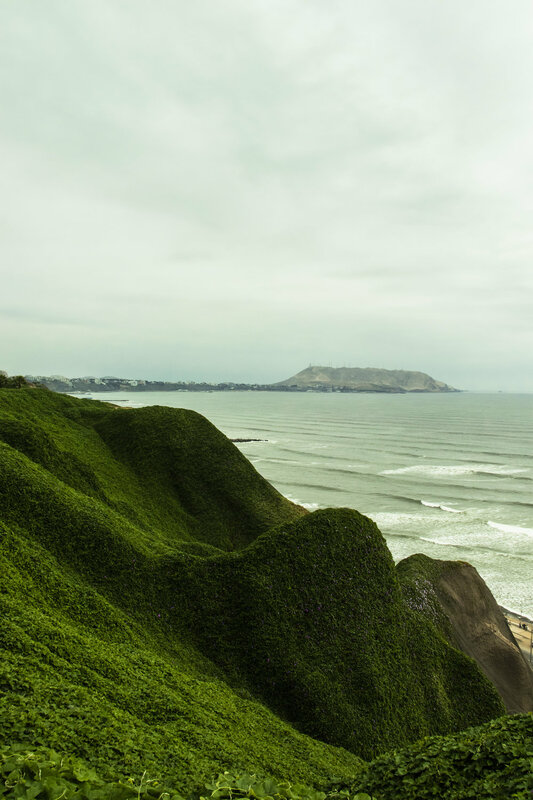 Cesar sent us an itinerary that sounded amazing: visiting the Peruvian Amazon, exploring Machu Picchu, sandboarding in the desert; It was a packed itinerary completely in Peru, and it was all within the budget we were targeting. It also had us traveling completely on buses, which Jordan and I are not opposed to when we have time to spare, but we felt we wanted to do so much in such a small amount of time, that we were willing to pay a bit more to fly between our destinations. 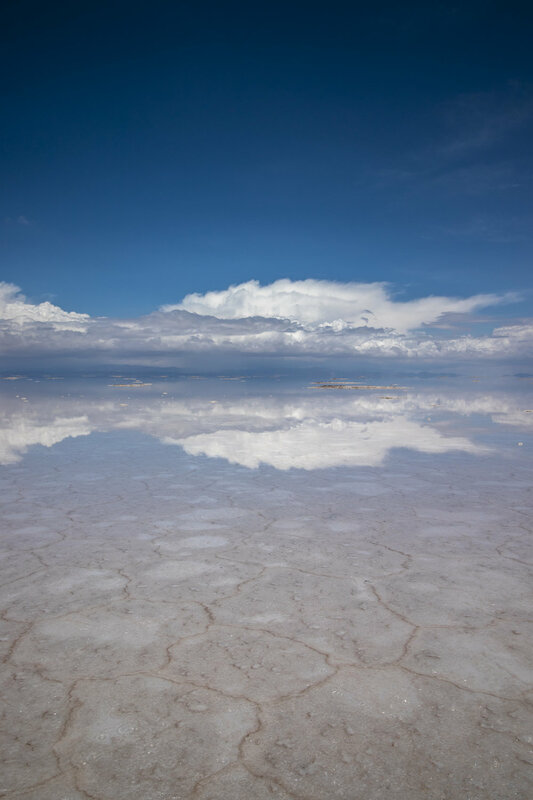 Additionally, we had decided that we really wanted to visit the Salt Flats in Bolivia. We sent our feedback to Cesar and he got working on another version of the itinerary, with a warning that air travel and a “Bolivia Extension” would increase the price. Things went like this for a week or two until we had nailed down an itinerary and price we were all comfortable with. Anywhere does not currently operate in Bolivia, so Cesar worked with a Bolivian Travel Agency to set up this part of the trip, however, we only ever dealt with Anywhere. Flawless execution, Cesar. All transportations to/from bus/train stations, again assisting with checking bags, finding seats, etc. As you can see, Anywhere ensured that we were safe and maximizing our time in Peru and Bolivia from the time we set foot in Lima through our last day. To top it off, they even helped to make reservations at Central on our last day of our trip (if you don’t know, this is the #6 restaurant in the world and one of the restaurants featured on Chef’s Table on Netflix). Like I said earlier, and if you know me as a traveler, this is not how we usually travel. I pride myself on the amount of research I put into a trip, and the resulting product of that research. I often look back on our second trip to Europe where we masterminded awards flights into Rome and out of Budapest and RyanAir flights going from Rome —> Marrakech —> Barcelona —> Budapest, and I think to myself “that was one hell of a well-planned trip! The logistics! The research! The spreadsheets!” To be honest, I really questioned my spreadsheet-loving self when I suggested the travel agent route to Jordan, but when we arrived in Lima and saw our driver holding a sign that read “Alexandra Laborato,” and I realized I didn’t have to haggle with a taxi driver to get us to our hotel, I knew we had made a good decision. Anywhere made our trip easy. Peru was a destination, that in all honesty, overwhelmed me. Every time I looked up another blog about it, there was another amazing place to visit. What gave me the most anxiety, though, was how to get from place to place. Do we fly? Take the train? Overnight bus? There were so many options and conflicting information about each and every one of them. We were going during rainy season, so flying was risky (note: none of our flights were delayed). If we were to book the buses ourselves, we were to use extreme caution, especially in Bolivia, as apparently buses don’t always end up in their intended destination (worst case), or people wake up and find they have been robbed while they were sleeping. Anywhere took all those worries away, as they knew the reputable companies to work with. Where Anywhere perhaps fell a little short (any maybe this was due to our budget, when we booked, who knows?) was, and I’m being super picky here, the accommodations and some logistics. And I’m only talking about some of them, as others, like where we stayed in Aguas Calientes, were amazing. For example, in Puno, we stayed pretty far away from the main square, which required a taxi to get to and from our hotel. Every other hotel was at least within walking distance, which we were very happy about. As for the logistics, the only thing we would have improved was our time in Cusco - we did a lot of travel back and forth from places, and Cusco served as our “hub,” if you will, so we didn’t get too much time to explore Cusco. We actually found that to be fine, since it was such a touristy town, but thought that instead of going back to Cusco after the Scared Valley tour, we might have stayed in the Sacred Valley, then continued on to Machu Picchu the next day (this was quite a bit of back tracking to go back to Cusco). Again, this is getting a bit nit-picky, but those were the areas where we felt the experience could have been improved. Overall, the pros outweighed the cons, and I would 100% use Anywhere again. Especially for a complicated trip where we want to see a lot of places in a short amount of time. If you’re like me and love to plan vacations, but are stuck on a certain destination, I encourage you to take a look at Anywhere - they really focus on the local culture, your top priorities for the trip, and staying within your budget. Be sure to follow me on Facebook, Instagram and Twitter so you can get your daily dose of travel inspiration! Did you enjoy this article? Think someone else should see it? Pin it for later! Not sure how to pack in just a carry on for your long trip? I’ve got you covered - I’ll show you want to bring and what to leave behind! Click here to learn all the tips and tricks. Not sure what to give your travel-loving family member or friend - or not sure what to ask for, yourself? I’ve got you covered with my favorite travel gifts. Check them out and see which ones you’ll be putting on your wish list! Learn about why elephant sanctuaries really exist, and how you can spot an ethical one from one perpetuating the elephant abuse. One of the more confusing processes we’ve been through has been obtaining our tourist visa to enter Bolivia. If you’re planning a trip to Bolivia in the near future, check out the steps you’ll need to follow to get a visa! If you’re planning a trip to Peru (or South America), this is something you won’t want to miss. 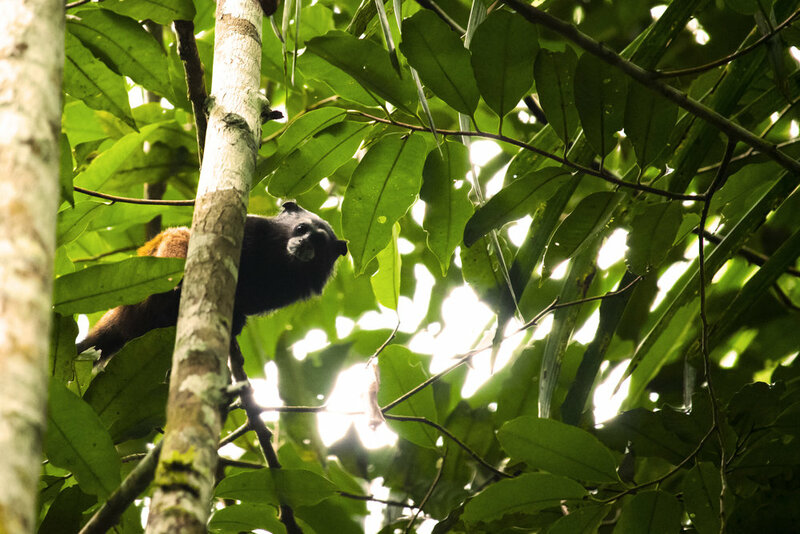 In this article, I’ll break down your options for accessing the Peruvian Amazon, suggest options for where to stay, and what to pack!